The Omni is designed with success for millennial business promotion. 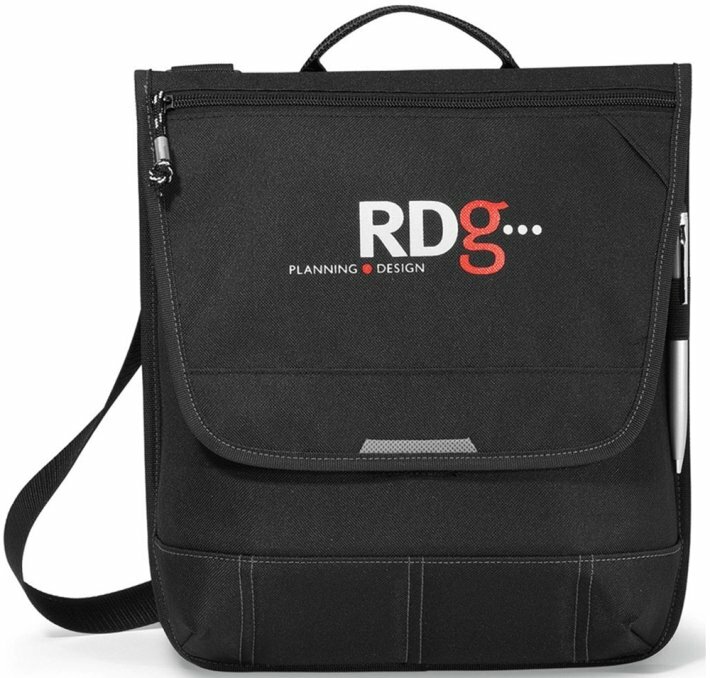 Applications are compact styling, high functioning business bag. stylus loop, grab handle, shoulder strap adjusts, more. The overall bag size is 111/4 w x 12 1/2 h x 2 1/2 d.
Price includes a one color imprint on front area 6 1/2" w x 3" h.